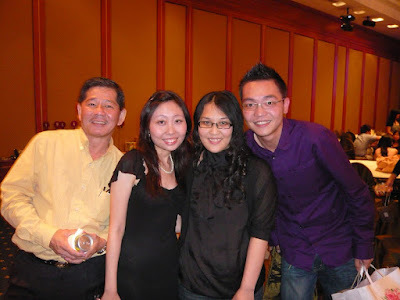 Christmas is one of the best time for get-togethers, reunions & lots of partying as the year end draws close. 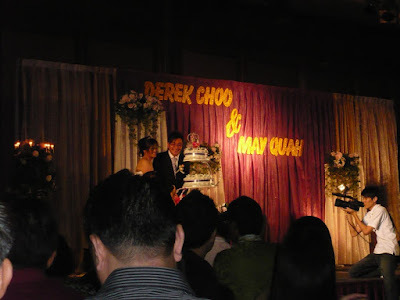 December is also probably the best time for couples to tie the knot as it is an auspicious month in the lunar calendar. 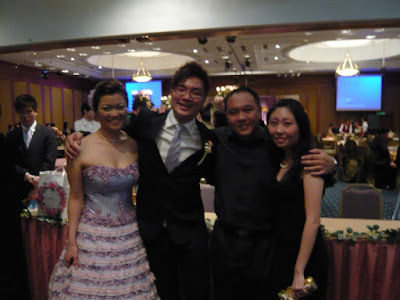 I was invited, together with WL to our colleague to attend his holy matrimony. 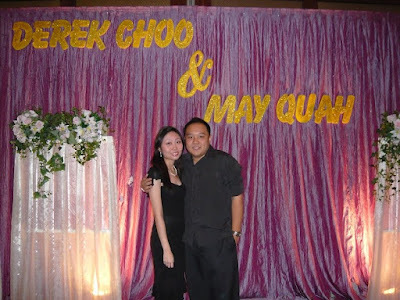 And guess what, his wedding will be held all the way in Kluang! The best thing about attending this wedding is that I'm travelling with WL to a small town for the first time. As soon as we arrived, we checked in at a hotel - apparently the one & only luxurious hotel you can find in that humble town. Well, what more can you expect? We happened to get a room overlooking the river that flows across the town. 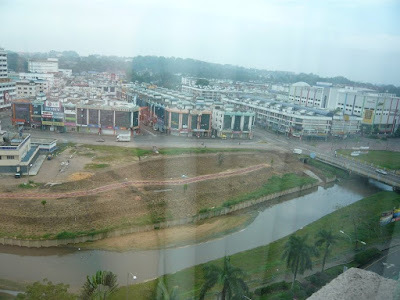 Being the only five-star hotel in Kluang, we were shocked to come across with poorly maintained fixtures & furnitures. Not to forget the odd smell upon entering our rooms. I had to remind myself many times this is a small town, remember that. At least we still have proper shelter to sleep through the night. In case you didn't know, wedding receptions in small towns are commonly held in the day - or rather noon to be more precise. This is to avoid having friends & relatives to travel back late at night should they choose not to pay for accommodation. With little time to prepare, WL took quick showers while I started working on my makeup. 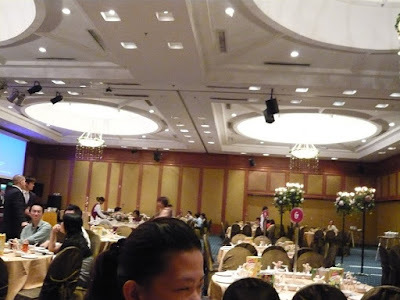 And off we go to the ballroom where the wedding reception will be held. 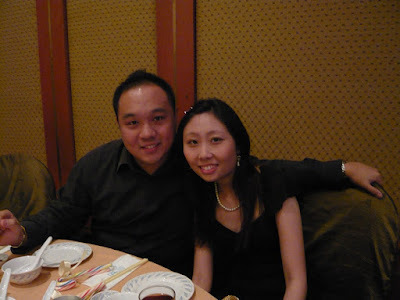 The food served was the usual Chinese eight course dinner. Of course, we can never forget the camwhoring activity that keeps us from feeling bored while waiting for the next dish to be served. There you have it, the bride & groom cutting the cake. Later in the evening, we went to the bride's house for BBQ session. As usual, food was pretty okay but we were served with lots & lots of Justea drinks. -.-" I supposed the BBQ food wasn't hygiene enough that WL ended up with a stomach upset. I was dehydrated & lacked sleep, hence with the bad headache. We had no choice but to stay on in the hotel instead of waking up early to join the rest of them for kopitiam breakfast at the famous Kluang station. Then, what did we have for breakfast? 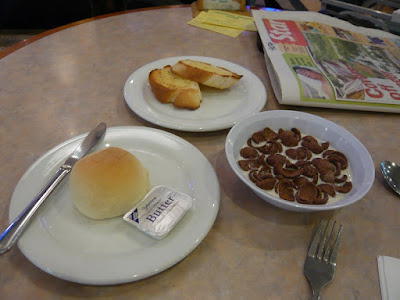 Eventually we settle for buffet breakfast at the hotel cafetaria. With my hunger pang hitting in, I couldn't resist feasting on different kinds of dishes despite the lack of appetizing meals.